Ethnic groups The four ethnolinguistic groups (Germanic, French, Italian, and Rhaeto-Romansh) that make up the native Swiss population have retained their specific characteristics. Known as “The Top of Europe”, Jungfraujoch might just be the most beautiful place in Switzerland. It is definitely a ‘must-see' for your Swiss holiday. 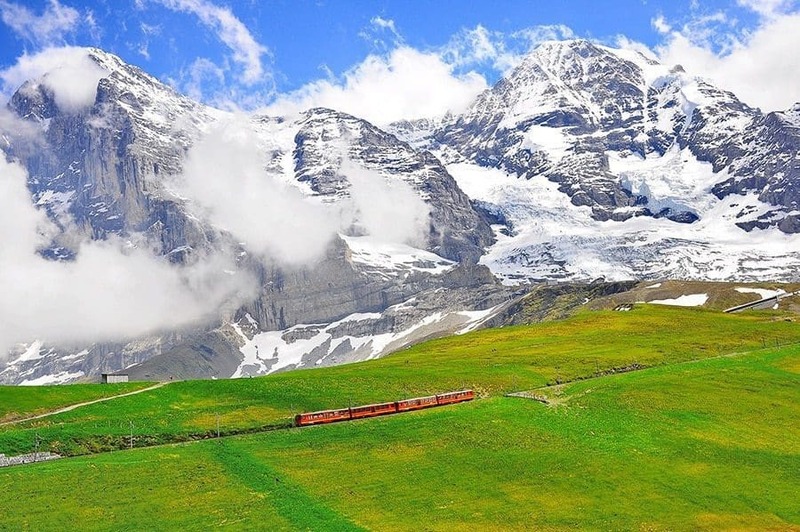 It starts with a train journey up to Jungfraujoch where visitors can look out at the scenery all around them (thanks to the scientific observatory and observation terrace that are located 3,454 above the ground). Europe’s longest glacier, the Great Aletsch Glacier, is located below and has been named a UNESCO World Heritage Site. Visitors can also walk along the Eiger Trail or Panorama Way. After more activities? Why not take a gondola ride to see the Lauterbrunnen Valley. 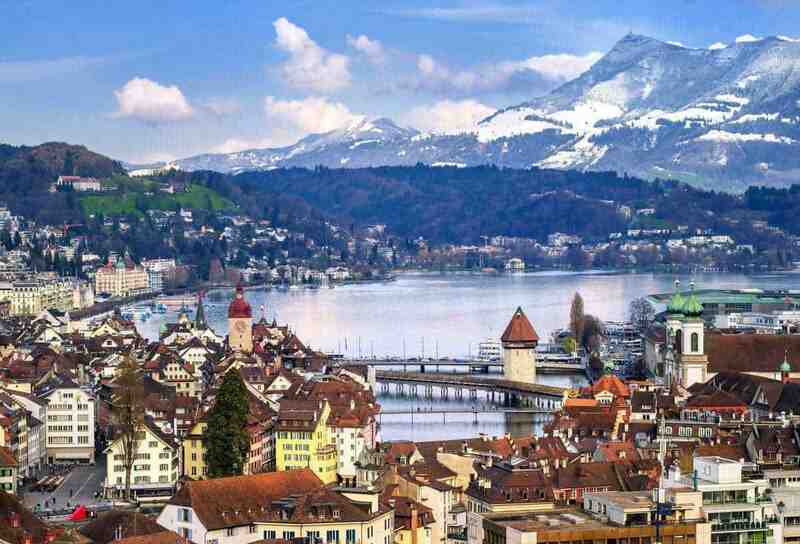 Lucerne is one of the top places in Switzerland! This medieval town of sorts is surrounded by mountains and is peppered with historic buildings and covered bridges. Cars aren’t allowed here so tourists can easily walk around as pedestrians truly have the right of way. As one of the top historical places in Switzerland, this town is most famous for its landmarks of the Chapel Bridge and the Lion Monument. For those that want a spectacular view of the area, including Lake Lucerne, they can ride up Mt. Pilatus by cableway. 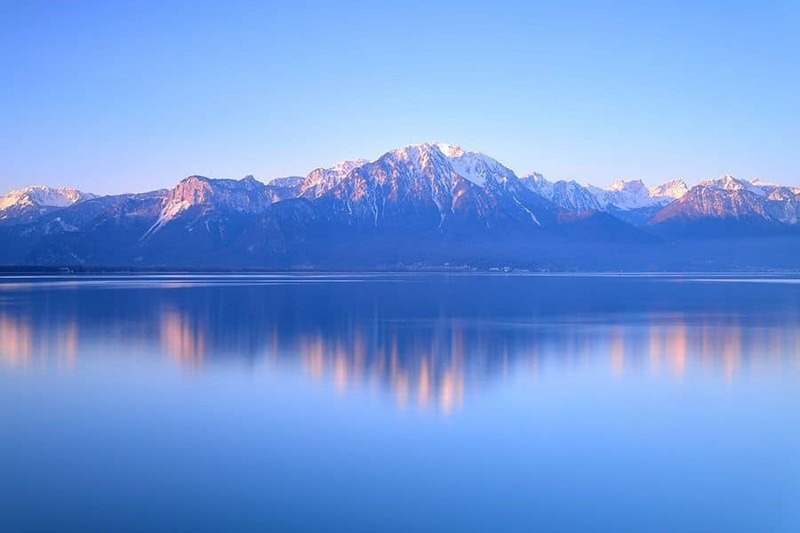 Lake Geneva (lac Léman) is regarded as one of the most famous places in Switzerland and as a result, is typically one of the most visited places in Switzerland. This body of water is the largest Alpine lake in Europe. One of the most famous attractions of the lake is the Jet d’Eau This fountain shoots water 150 meters high. Those who visit the lake can also take advantage of all the things to do in the city of Geneva including visiting the Grand Theatre and the Opera House. Lake Geneva is one of the most beautiful lakes in Switzerland due to the majestic Swiss Alps that lies as a backdrop to this lake. The Matterhorn is one of the most iconic symbols in Switzerland and is definitely one of the most picturesque places in Switzerland as well. The peak of The Matterhorn is one of the Alps highest points. 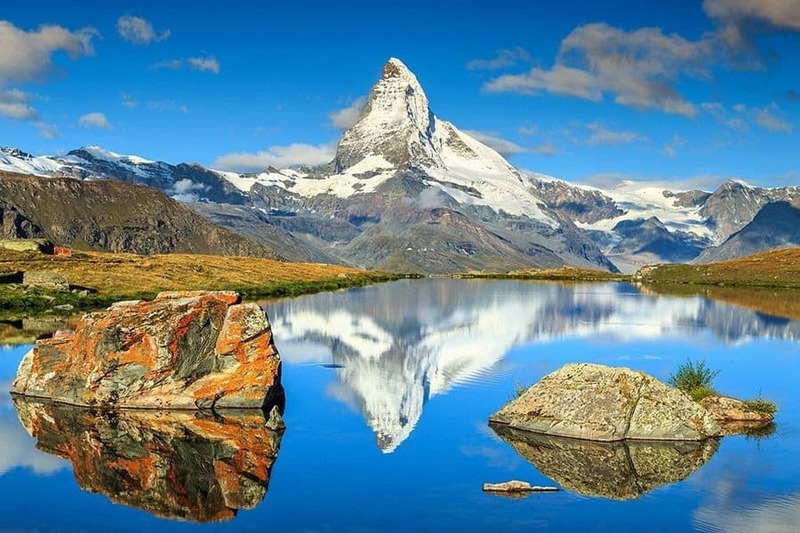 The Matterhorn borders Italy and has a height of 4,478 meters. The steep faces of it are each pointed in four different directions like a compass. At the foot of the Matterhorn is the village of Zermatt. It’s known for its chalets and horse-drawn carriage rides. Motorized vehicles are not allowed in the village so that the peacefulness of it can be preserved. This is a popular destination for travelers year round and happens to be one of the sights that Switzerland is famous for. Some of the most beautiful landscapes in Switzerland can be found in Ticino. 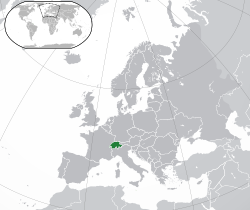 This is the only canton that officially speaks Italian in Switzerland. It’s not surprising as Ticino is located on the Swiss/Italian border. The area is well-known for the food as it has a Mediterranean flare with its palms, figs and citrus tastes. 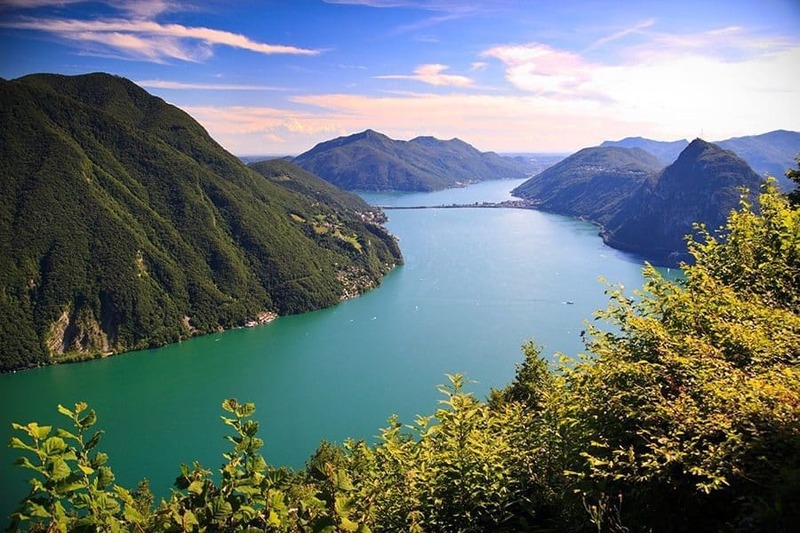 Those who come here will often rent a boat to see Lake Lugano. This allows them to get a panoramic view of Monte San Salvatore with its snow-capped peaks. Definitely one of the most scenic places in Switzerland!